A Kimono was our first experience and leave a very good memory for us. This is Kirishima-jingu tour. The goverment of Kirishima tourism plan. 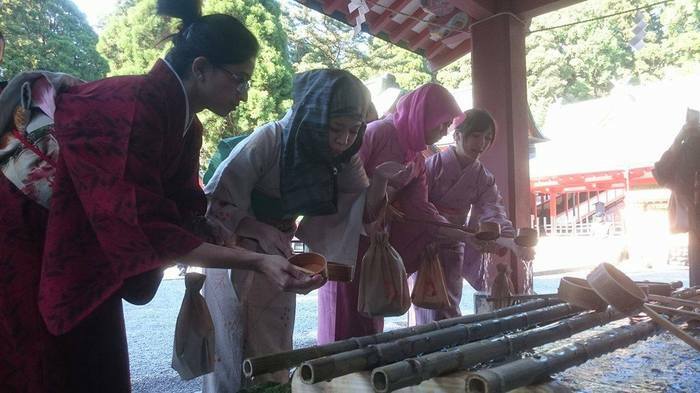 We participated in "Wafuku de sanpai, burari Kirishima-jingu (worship using Japanese clothes, unexpectedly, Kirishima Shrine)". 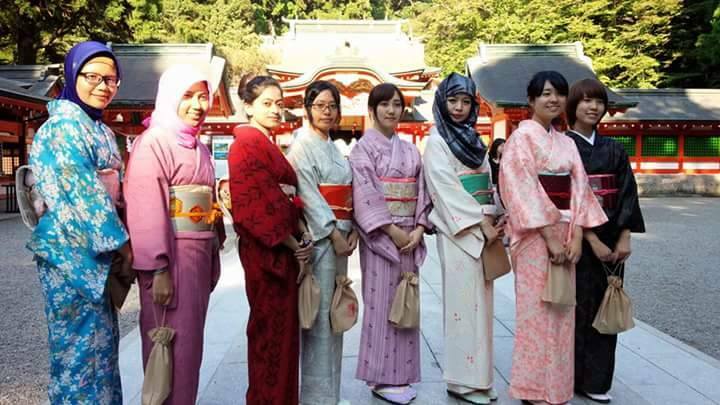 You can put on kimono and walk around the precinct freely.